Mayor Ted Wheeler defends relatively high $275,000 per unit cost by citing life cycle expenses. The City Council unanimously approved the purchase of the first new apartment building with affordable housing bond funds on Wednesday. 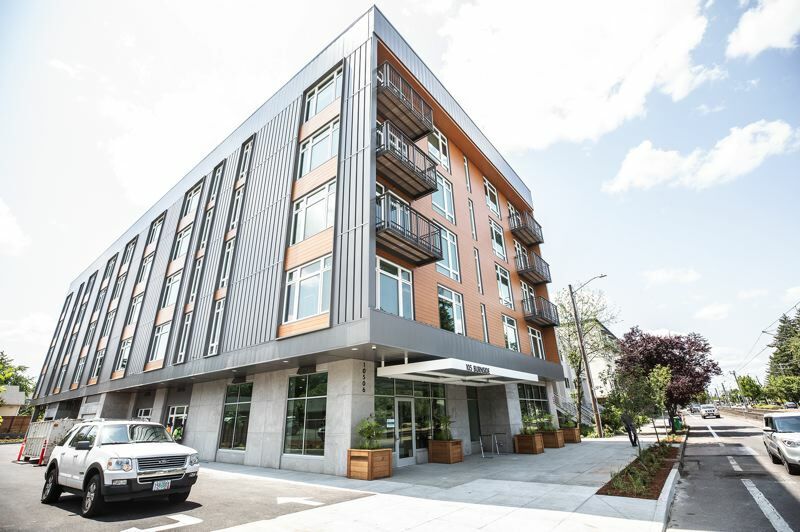 The 52-unit building nearing completion near Southeast 105th Avenue and Burnside was purchased for $14.4 million, or around $275,000 per unit. Mayor Ted Wheeler, who brought the request to the council, justfied the relatively high per unit cost in part by saying the building is built well enough to last many years and will have a lower life cycle cost than a less expensive building. "We should not just be counting doors," Wheeler said. The council also passed a resolution approving a $48 million loan from the Development Services Fund to buy the building and other properties being considered for future purchase. Wheeler said multiple yet-to-be identified purchased are being negotiated or nearing agreement. The loan will be repaid when affordable housing bonds are sold in the future. To read a previous Portland Tribune story on the issue, go to tinyurl.com/yan2dapx.